I promised I’d send a postcard, and in true postcard fashion, they arrive after one returns from holiday! This is me. 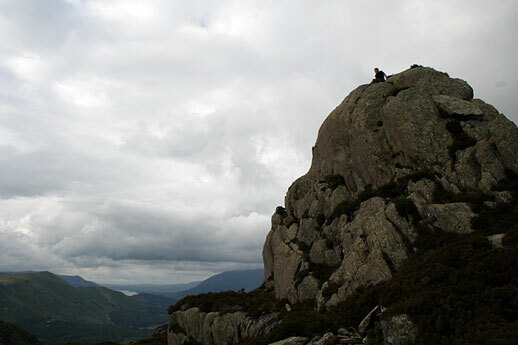 Way up high on top of a rather fierce looking cliff in the Lake District of northern England. I’ve mentioned my nearly crippling fear of heights, right? 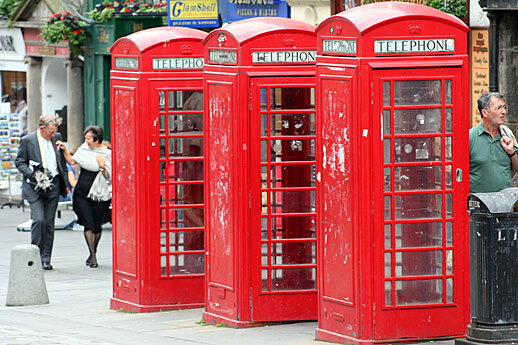 And these are some of those famous (if a little run down at the heels) telephone booths one can find dotted all over the United Kingdom, usually in close proximity to tourists. These were in Edinburgh. More images will be forthcoming. I am going to set up some sort of Textpattern gallery when I get over the jet-lag. I am in love with the phone boxes!! It’d be nice if they were cleaner, maybe, but then they might lose some of their character.